The Lena Anderton Meeting Room makes an excellent place for your meeting, training session or workshop. A fully accessible venue located in the centre of town. Nearby parking and excellent bus and train links with Leeds and Bradford only 30 minutes away by train. Sight airedale is a local charity supporting local people living with sight loss. 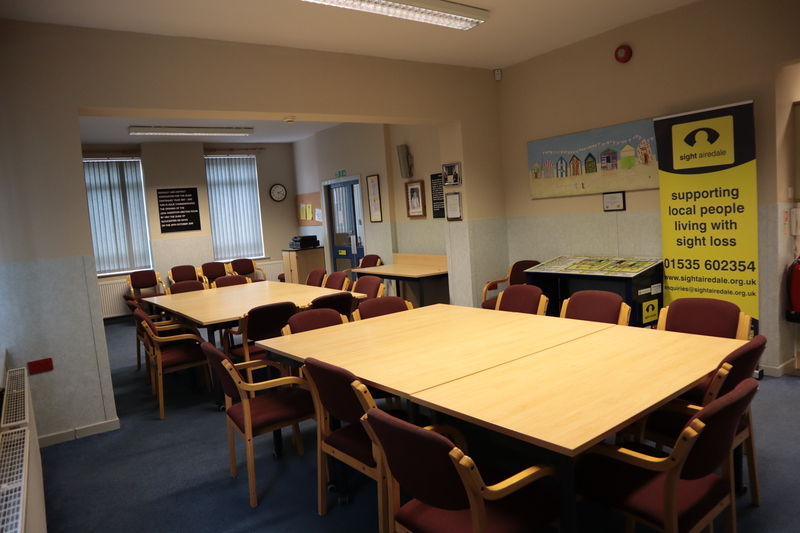 Located in our sight centre on Scott Street, the Lena Anderton Room provides a vital source of income for the charity, in addition to being home to two of our social centres. When you hire the Lena Anderton Room for your event, you are getting a well-equipped meeting room and helping to support local people living with sight loss.